The following is a guest post from Minakshi Raj (@MinaRaj91), 4th year PhD candidate at the University of Michigan in Health Management and Policy and Theodore Suh, MD, PhD, MHS, Clinical Associate Professor in Geriatric and Palliative Medicine at the University of Michigan and Medical Director of the Ann Arbor Geriatrics Clinic. In my parents’ home, one of our many photo albums is inaugurated by a photograph of me, in diapers, standing by my grandfather as he holds my hand. If panoramic photography had been available in the 1990s, we’d likely see my grandmother warning him not to let go as I might fall onto the wooden floor and develop a fear of taking my next step. In another, much thicker photo album, I’m taller and a decade older with my arm circled around my grandmother’s elbow as she leans against a walker supported by tennis balls to help her glide gracefully across the floor. As she clutches the walker, I can recall her saying, “Take the picture quickly; I can’t stand much longer”. My paternal grandparents, married for over 65 years, had drastically different personalities, but both similarly desired engaging with friends, relatives, and even strangers. My grandfather’s interests were multidisciplinary, and he could spend hours strolling around our neighborhood immersed in his own thoughts or in conversation with neighbors from around the world. He was bold and in his 90s struck me as a bit of a rebel; I was told that he stopped driving when it was observed that he drove “like a 17 year old”. Otherwise, he refused to allow his age to stop him from thinking, hoping, and exploring. My grandmother very much enjoyed offering her attention and affection by listening, cooking the most comforting of foods, and deeply appreciated music and dance. But in her 80s, my grandmother was fearful – of her own limits, both evaluated and perceived; and of being dependent, but also, of being alone. I often found myself torn between my immense fondness and love for my grandparents, and the realization that I was transcending the role of “the babysitter” and “the babysat” at the same time. I was not quite old enough to stay home alone, and I was also the most prompt about testing my grandfather’s blood glucose level and injecting insulin at exactly 8:00pm at our dining table. A science fair project examining the relationship between diet and blood glucose warranted me with additional credentials to give my grandparents healthy meals that my mom cooked while keeping a close eye on my grandfather, who tended to sneak sweets from our pantry on tiptoe. I enjoyed the sense of responsibility, and the consistent appreciation I received from my parents and grandparents was formative amidst the drama of math tests and middle school dances. Unfortunately, visits to the hospital were also becoming seemingly routine through middle school, and most vividly, I remember perhaps the fourth or fifth time my grandfather fell. When I stood by his bed at the hospital, he asked “Who are you?” and I felt my legs turn to boulders. The next few minutes were a coupling of hilarity and despair as he mumbled nonsensically; amusing only because it was so shocking, and because my dad often used humor to protect us from hopelessness and helplessness that we were all feeling. The next day we found out that my grandfather was delirious from over-medication; it was not dementia. It was at that moment, that I realized, first, the incredible gift I had, of growing up with my grandparents; and second, that memory and good health do not last forever and should not be taken for granted. In retrospect, third, I believe it was around this time, that I learned empathy. We cook our grandmother’s recipes and eat from the antique plate our grandfathers bought with an artistic eye. We remember those who were firm with us to ensure we always tied our shoelaces; and those who coddled us when we cried. 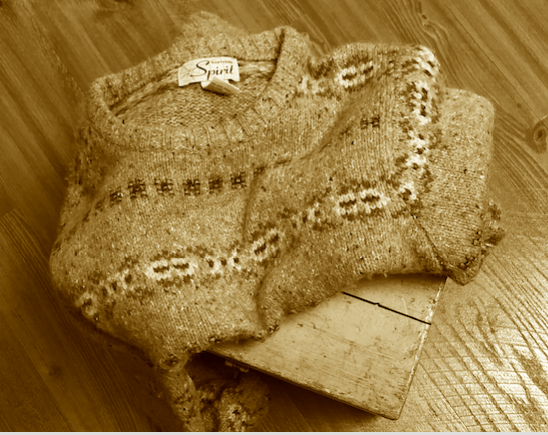 Needless to say, those who never knew their grandparents may feel an emptiness, satisfied only by photographs turning to sepia and old sweaters too outrageous to wear in public but too fragrant with sentiment to ever give away. Those with frayed relationships may wonder how things could have been. As I study aging today, I have often found myself wondering how we can prepare children, adolescents, young adults, and even those on the cusp, for aging and for providing care to those who are aging – relatives, friends, neighbors, and perhaps even strangers in a professional capacity. What if, when an older adult grasps our elbow in fear of falling, we refer back to the time we fell on the sidewalk playing hop-scotch and feel empathy, rather than burden? What if, when we learn to drive, we also learn to appreciate that driving is not merely transportation from one place to another, but is also a symbol of independence? What if, when we learn about preventing chronic disease and protecting ourselves from infections, we also learn that when we grow old, we may no longer keep up with our younger friends but are still deserving of dignity and respect? There are opportunities for educational, social, and health policies to influence the way that middle and older adults as well as children understand and prepare for aging and both informal and formal caregiving. Early health education in schools presents an opportunity for educators to help children learn what it means to grow up and to grow old so that perhaps they can advocate for their older relatives, neighbors, and patients or clients in adulthood. Teenagers on the cusp of earning a driver’s license could volunteer to transport older adults who are unable to drive, to doctor’s appointments, procedures, support groups, or grocery stores. Young adults can learn about financial planning and how the decisions they make can influence their quality of later life. Medical education can insist on exposure to providing care to older adults to ensure that health professionals are empathic of the persistence of ambition and simultaneous loss of control that older adults may feel, experience, and fear. We can continue to learn about the experiences of older adults by listening to their stories1 and encouraging their perspectives in social, behavioral, and clinical research2. I watched my paternal grandparents grow old as I experienced childhood, and have watched my maternal grandparents grow old as a young adult and researcher. Others may not have similar, or perhaps, memorable experiences with their own grandparents. However, aging is natural; it happens around us, and it happens to us. There are policies that we can design by drawing on our own experiences along with evidence; and there are others for which we rely on others to speak their experiences, concerns, needs, and preferences. By sharing this reflection, the authors hope to start a dialogue on how we as a society can better enrich the experiences others may have—not only with grandparents, but with older generations with whom we live, work, and interact in our daily lives. Designing policies around aging presents a need for hearing from those who are actually experiencing aging; an opportunity to improve the quality of life for those who are aging today; and a chance to navigate the path for how we, and our loved ones, will age in the future. Span P. Every Older Patient Has a Story. Medical Students Need to Hear It. The New York Times. https://www.nytimes.com/2018/10/12/health/elderly-patients-medical-training.html. Published October 12, 2018. Span P. The Clinical Trial Is Open. The Elderly Need Not Apply. The New York Times. https://www.nytimes.com/2018/04/13/health/elderly-clinical-trials.html. Published April 13, 2018. A beautifully written, exquisitely truthful post. The idea of intersecting the lives of teens and elders will bring richness to both.